total time 44:22 without bonus tracks. 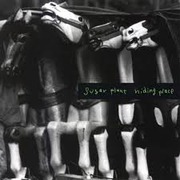 all songs by sugar plant except "sorry" by Galaxie 500 and "venus" by Verlaine. recorded May '93 to July '94 in Tokyo.